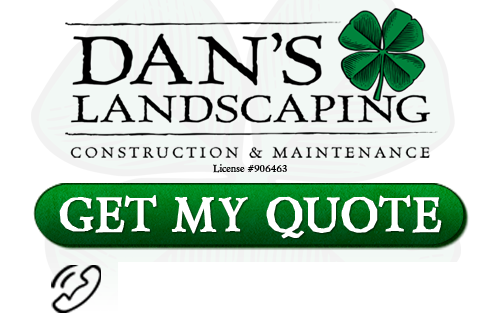 Dan’s Landscaping company is proud to provide lawn and planter bed spray application services. We safely and effectively apply weed herbicides, fertilizers, and water retaining solutions that protect your lawn and landscape gardens, helping you enjoy a lush and beautiful yard. We have been testing and perfecting our product lineup for several years, and are confident that your landscape will benefit from our expert spray applications. Call us today to see how our licensed technicians and state of the art equipment can help your landscape and save you water. One product you can choose is our ‘water saver’ application program, which can reduce the amount of irrigation water that your lawn and plants require by up to 40%. Your landscape will look lush and green with our revolutionary water saver spray. Our lawn fertilizer spray comes in a complete line of organic compost tea and plant/lawn foods to keep your landscape healthy and your flowers blooming all season long! Healthy plants and a healthy lawn are not just beautiful, they are empowered to resist disease, insects, and drought. 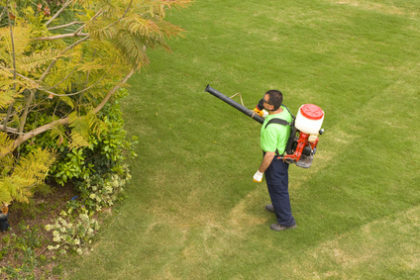 If weeds are your problem, we can also spray the weeds out of your lawn and planter bed areas. We offer a wide array of targeted weed control services such as vegetation maintenance, right of way spraying, lawn weed control, and planter bed control. If you are looking for professional Lawn & Planter Bed Spray Applications in the greater San Luis Obispo area, please call 805-550-5488 or complete our online request form.